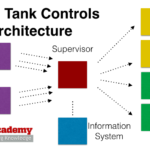 Austin, TX (December 15, 2014) — General Dynamics, the world’s fifth-largest defense contractor, has chosen CANbus Academy to provide them with a 3-day training on CAN protocol, ECU Design and CAN systems integration. 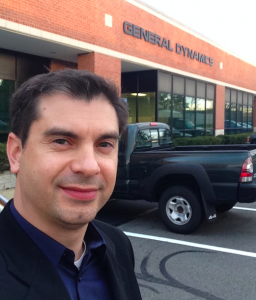 Training took place at the General Dynamics Advanced Information Systems facility in Herndon, VA from December 8 through December 10, where a group of 10 engineers and scientists, experts in developing advanced information systems for defense applications, expanded their knowledge in CAN-technology. 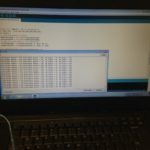 “CAN” stands for Controller Area Network and is a networking protocol widely used in automotive, marine, machinery, rail, industrial and medical applications. “ECU” stands for Electronic Control Unit and is a generic term for any embedded system that controls one or more of the electrical systems or subsystems in a motor vehicle. The Course Project, the highpoint of the training, provided the students with an exciting challenge and a way to demonstrate the concepts they had learned. Their assignment was to build a Battle Tank. 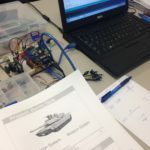 The class successfully delivered 8 ECUs interconnected with CAN network to perform the tank’s propulsion and weapons systems. 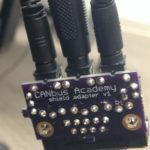 If your company plans to excel at CAN and vehicle technologies, let CANbus Academy provide the CAN protocol training and specialized knowledge you need. Our programs can be customized to suit your company’s learning objectives. Our project consultation services accelerate your product market time. Contact us at info@CANbusAcademy to discuss your training needs. Please note training dates are very limited.